John Wittmann '82 was determined to make music his career. Today, he works with some of the biggest names in the business as director of artist relations and education at Yamaha. 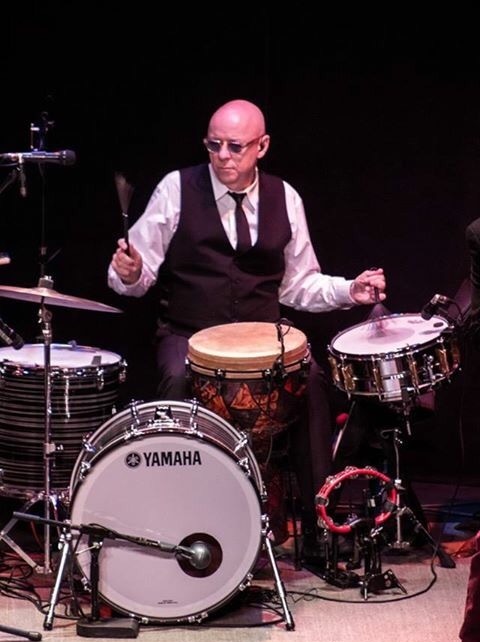 On any given day, John Wittmann ‘82 could be scheduling a brass-clinic appearance for jazz legend/trumpeter Randy Brecker; arranging top-of-the-line instruments for legendary percussionist Mike Mainieri; or having lunch with Jeff Coffin, sax player for the Dave Matthews Band. Wittmann is director of artist relations and education for Yamaha Corporation’s Band and Orchestra Division, a job he’s been doing for more than two decades. With a career at the intersection of music performance and music education, Wittmann spends most of his time working with Yamaha’s endorsing artists – professional musicians who play exclusively Yamaha instruments and serve as brand ambassadors – and linking them with music educators and students through clinics, festivals, and guest appearances. He’s eminently qualified. 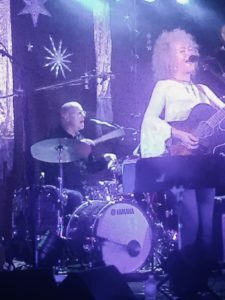 In addition to earning his bachelor’s degree in music education from Saint Rose and a master’s degree from Norwich University and working for many years as a band director, he’s also spent years on the road as a rock drummer. He has boundless empathy for musicians armed with no more than determination and dedication: Wittmann himself grew up poor, with his mom as his major support. All he knew was that he loved the drums and had to play – no matter the cost. The Troy, New York, native, who was 4 years old when his father passed away, has played the drums since he could remember, mostly teaching himself. He didn’t even play in the school band. Instead, he joined neighborhood bands, and coaxed tutoring out of friends who were taking lessons. What he lacked in formal education, he made up in dogged perseverance. His drum habit was especially expensive because of his tendency to break equipment, which continues to this day (his wife calls him “Johnny Break-Stuff”). When he was in elementary school, his hardworking mom let him know she couldn’t afford equipment or lessons. That motivated Wittmann, then in sixth grade, to start working at an ice cream shop. He continued to work there through high school. For years, he played cardboard drum kits, and finally a small white kit donated by someone who took pity on him. But he dreamed of a sparkly blue kit he saw in the window of Romeo’s, a Troy music store. “I would take the bus over and just stare at the kit and stare at it,” he says. 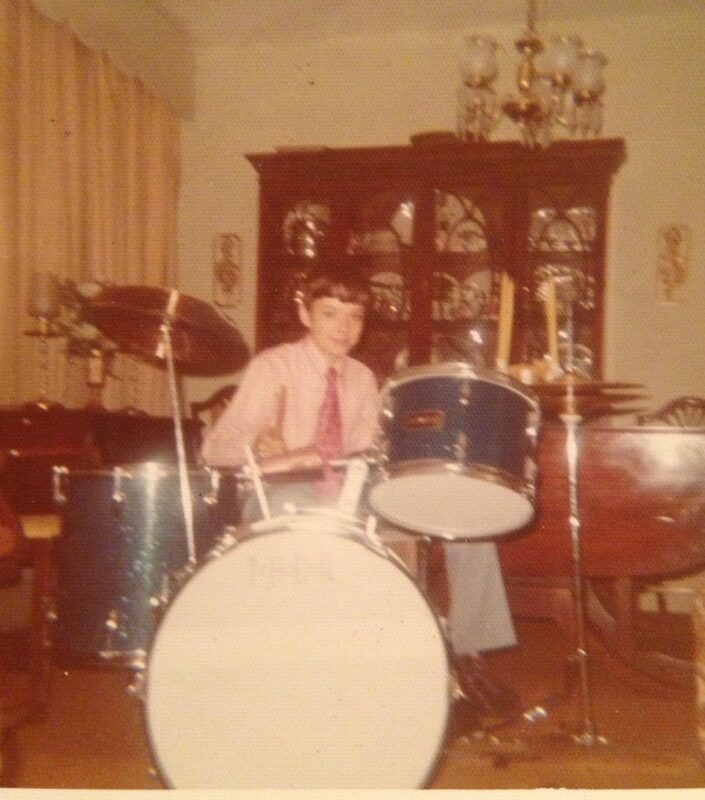 Right before he was to play in a band for his own religious confirmation, Wittmann broke his snare drum. His mother took him to Romeo’s to repair it. Wittmann suddenly spotted a worker removing the sparkly blue set from the window. “Who bought it?” Wittmann, about 12 at the time, asked the clerk. The worker pointed at Wittmann’s mother. Gratification was delayed even further, however. He wasn’t allowed to play until after he had changed into a shirt and tie so his mom could take a photo. In his senior year at Catholic Central High School in Troy, Wittmann finally joined the school band. He also took private lessons, receiving a crash course in theory and various percussion instruments. He was accepted at Saint Rose. Wittmann had planned to teach music after graduation, but wanted to play seriously first. After three years of full-time rocking, with Indianapolis as his home base, Wittmann returned to the Northeast and earned his master’s degree at Norwich University, while working as the band director first at Keveny Memorial Academy, and then at Waterford Halfmoon Schools. He found that he loved teaching, but missed playing, so he went on the road with another band, Masterpiece. That lasted for two years until the group disbanded abruptly, following a serious accident involving its lead singer. During his second touring stint, Wittmann had spent time in Indianapolis, where he worked as a session drummer, taught, played at drum clinics, and wrote articles about music and teaching. He had also become an endorsing artist for several music companies, including Yamaha. In 1997, Yamaha asked him to manage artist relations for drum sets. “I had done so much teaching and drumming that the idea of managing artists and their expectations was very natural to me,” says Wittmann. Part of the exhaustion is the nature of performance itself: working with artists on world tours, coordinating travel or appearances, dealing with management, and ensuring the right instrument is at the right place in perfect condition. The true artists, he says, are those who reach the top by working hard, and not taking anything or anyone for granted. He knows from personal experience that grit and determination serve one well, and counsels aspiring musicians to keep trying.